AND WINNING THE TOURNAMENT VOLUNTEER AWARD! Decorating Week is December 26 -30. 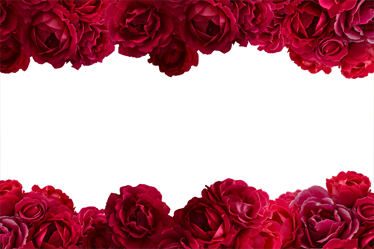 Learn how to volunteer to be a part of the Torrance Rose Float Decorating Team! ​Congratulations to Justin Kim from West High School for his winning sketch that was used for our entry in the 130th Rose Parade on January 1, 2019. 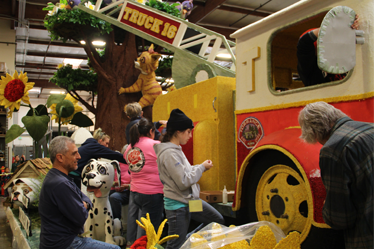 See photos of our float in progress by clicking here! 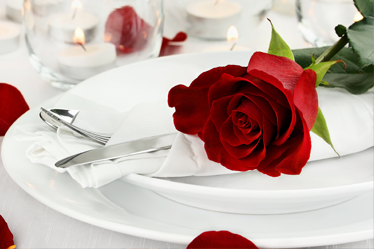 Enjoy dining around Torrance while supporting the Torrance Rose Float Association! 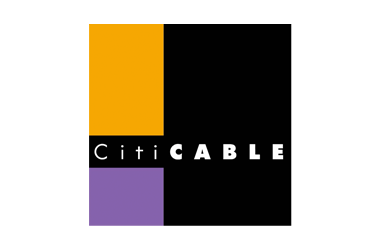 Find out about our next event here! 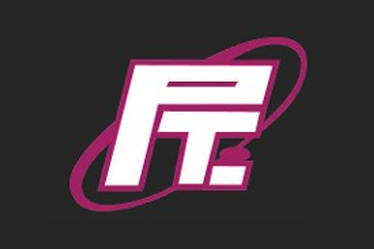 ​KEEP UP WITH OUR LATEST NEWS ON FACEBOOK! 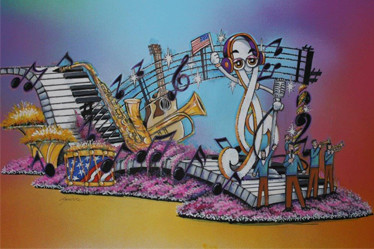 There are many ways to become a part of the most exciting project in Torrance, our own Rose Parade Float! 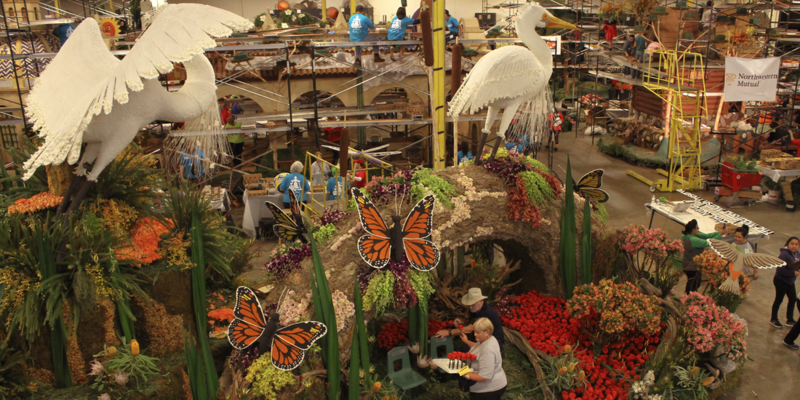 Is riding on a Rose Parade Float on your Bucket List? 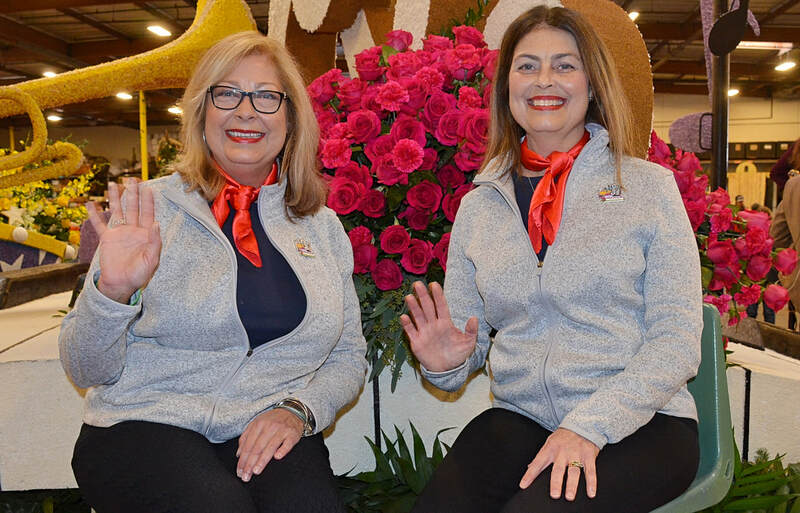 Every year one lucky person is selected via our opportunity drawing to wave endlessly and smile for 5 miles on New Year's Day on the Torrance Rose Parade Float! The deadline for participation is November 16th. Be a part of the float, literally! 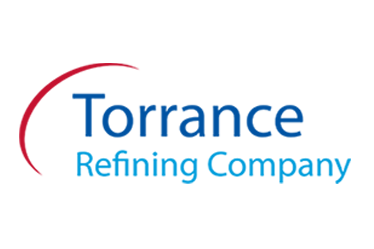 We are grateful to the City of Torrance for their premier sponsorship of the City of Torrance Rose Parade Float. 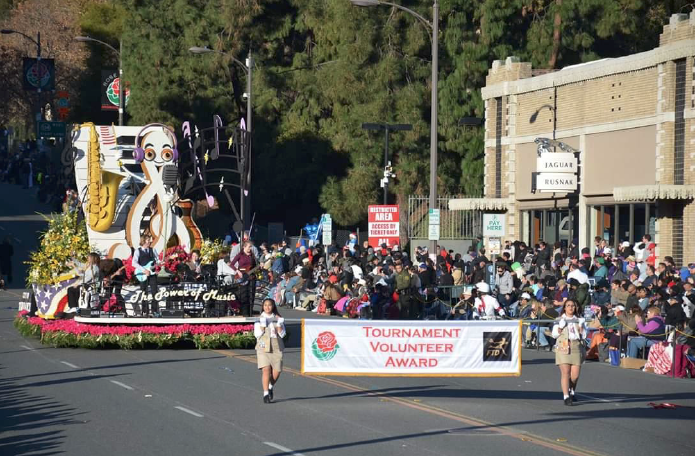 With seven days of decorating, two shifts per day and hundreds of volunteers, the Torrance Rose Float Association is responsible for transportation, meals and more. 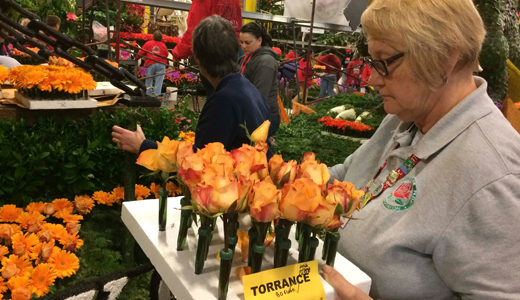 ​Each year, local businesses, government, non-profits, schools, and residents gather together and work as one cohesive team to bring to life an international showcase for the City of Torrance, our entry into the Tournament of Roses Parade. 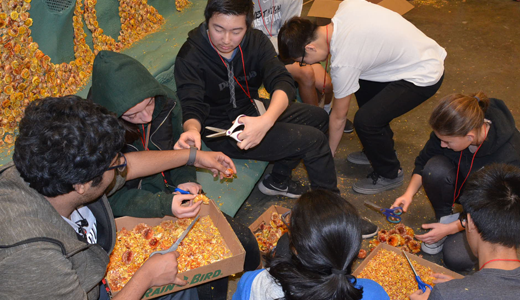 With volunteers from 13 years to 90 plus years of age, it is truly an all-community activity! Nothing can compare with the thrill of seeing our hometown represented alongside worldwide brands and our fellow local cities in front of a worldwide audience numbering in the millions. 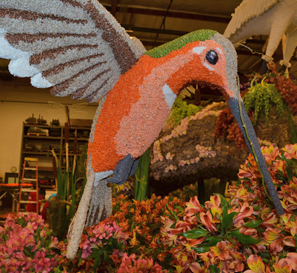 As one of the few all-volunteer decorated floats in the parade, Torrance has created an award-winning legacy and tradition enjoyed here, and around the globe! 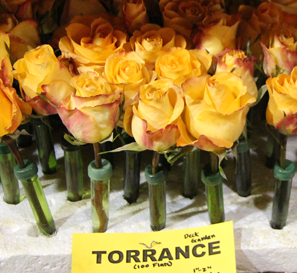 Learn more about how you can support the Torrance Rose Float. Any assistance is appreciated!